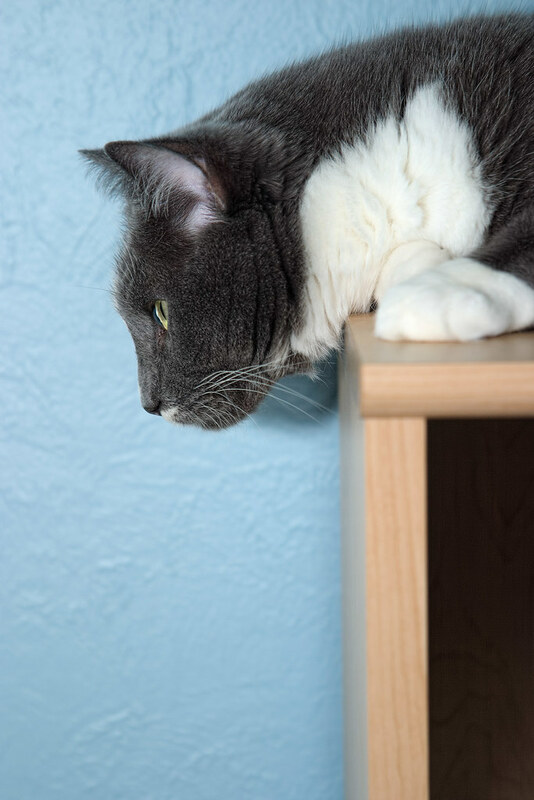 Templeton used to love to sleep atop the bookcases but as he aged he had trouble jumping that high. If he sat beside my bookcase to indicate he wanted up, I’d place him up there for a catnap and get him down when he woke up. On this particular day, I climbed on top of a chair so that we’d be eye to eye when I took the picture. This entry was posted in Pets and tagged cat, gray tuxedo cat, Templeton. Bookmark the permalink.